Model Reference Adaptive System (MRAS) based techniques are one of the best methods to estimate the rotor speed due to its performance and straightforward stability approach. These techniques use two different models (the reference model and the adjustable model) which have made the speed estimation a reliable scheme especially when the motor parameters are poorly known or having large variations. The scheme uses the error vector from the comparison of both models as the feedback for speed estimation. Depending on the type of tuning signal driving the adaptation mechanism, there could be a number of schemes available such as rotor flux based MRAS, back e.m.f based MRAS, reactive power based MRAS and artificial neural network based MRAS. All these schemes have their own trends and tradeoffs. In this paper, the performance of the rotor flux based MRAS (RF-MRAS) and back e.m.f based MRAS (BEMFMRAS) for estimating the rotor speed was studied. Both schemes use the stator equation and rotor equation as the reference model and the adjustable model respectively. The output error from both models is tuned using a PI controller yielding the estimated rotor speed. The dynamic response of the RF-MRAS and BEMF-MRAS sensorless speed estimation is examined in order to evaluate the performance of each scheme. Fig. 1. Basic configuration of MRAS-based speed sensorless estimation scheme. Fig. 2. Block diagram of RF-MRAS scheme. Fig. 3. Block diagram of BEMF-MRAS scheme. Rs (C) Rsnew = 1.5 Rs (d) Rsnew = 2 RS. 1.1 Rs (c) Rs,ew = 1.5 Rs (d) Rs,ew = 2 Rs. Performance of RF-MRAS and BEMF-MRAS estimators based on the tracking capability and parameter sensitivity was presented. The result shows that the BEMFMRAS estimator is more superior to the RF-MRAS estimator at that particular defined range of reference speeds. This is prior to the elimination of pure integrators used in the RF-MRAS scheme. However, the BEMFMRAS estimator is more difficult to design due to the non-linear effect of the adaptation gain constants. Therefore, as a whole, considering all the key criteria of comparison, it can be concluded that the BEMF-MRAS scheme embrace the requirement as a versatile estimator. It demonstrate good tracking capability and superb in insensitivity to parameter variations. M. Ta-Cao, Y. Hori and T. Uchida, “MRAS-based speed sensorless control for induction motor drives using instantaneous reactive power”, IEEE-IES Conference Record, pp. 1717-1422. 2001. S. Tamai, H. Sugimoto, M. Yano, “Speed-sensorless vector control of induction motor with model reference adaptive system”, Conf. Record of the 1985 IEEE-IAS Annual Meeting, pp. 613-620, 1985. C. Shauder, “Adaptive speed identification for vector control of induction motor without rotational transducers”, IEEE Trans. Ind. Application, Vol. 28, No. 5, pp. 1054-1061, Sept./Oct. 1992. Y.P. Landau, “Adaptive Control: The model reference approach”, Marcel Dekker, New York, 1979. M.N. Marwali, A. Kehyani, “A comparative study of rotor flux based MRAS and back e.m.f based MRAS speed estimators for speed sensorless vector control of induction machine”, IEEEIAS Annual Meeting, New Orleans, Louisiana, pp. 160- 166, 1997. 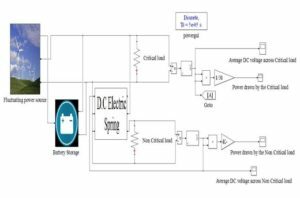 DC/DC Converters Single-phase two-stage inverters generally use an intermediate capacitor to buffer the power imbalance between DC input and AC output. 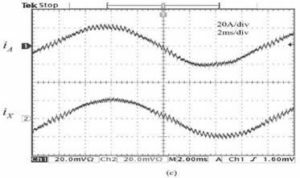 However, the resultant low-frequency voltage ripple on this intermediate capacitor may produce low frequency ripple at the source side, especially when the front-end dc/dc converter operates in continuous conduction mode (CCM). Some common solutions to reducing this ripple are feed forward control and power decoupling circuits. 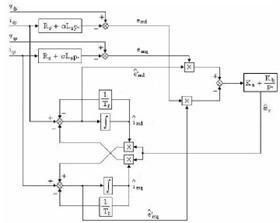 Alternatively, this paper analyzes a two-stage inverter where the front-end is a dc/dc converter operating in discontinuous conduction mode (DCM). In general dc/dc converters operating in DCM have inherent natural capability to reduce this low-frequency input current ripple, without needing a sophisticated control or complex circuitry as compared with its CCM operation. Analysis with simulation verification is reported to demonstrate such capability. Fig. 1. A simplified power-stage diagram of a single-phase two-stage inverter. Fig. 2. DCM boost front-end converter has lower voltage ripple than CCM. Fig. 3. DCM buck-boost front-end converter does not contain low-frequency ripple but only high-frequency ripple. low-frequency ripple but only high-frequency ripple. 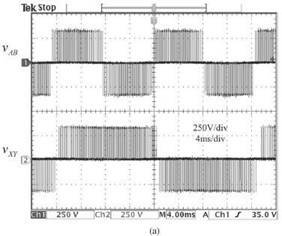 This paper analyzes basic and several higher-order front-end dc/dc converters for single-phase two-stage inverter design. Through inspecting the instantaneous average input current of those converters in discontinuous conduction mode (DCM), it has confirmed that buck-boost converter and buck-boost derived converters such as ZETA are free of low-frequency (mainly double ac line frequency) input current ripple due to the lack of direct connection between input and output during switching actions. For boost converter based converters such as SEPIC and C´ uk converters, their input currents contain lower low-frequency content thanks to the cascaded design. 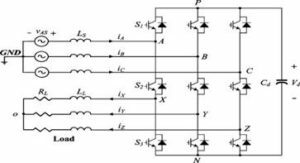 For boost converter based high voltage gain converters, its input current may not necessarily reduce the low-frequency content effectively. It depends on how the high-gain sub circuit is constructed and interacts with the input inductor. Further research is necessary to identify suitable converter topologies which have both smooth input current and low frequency content. K. Fukushima, I. Norigoe, M. Shoyama, T. Ninomiya, Y. Harada, and K. Tsukakoshi, “Input Current-Ripple Consideration for the Pulse-link DC-AC Converter for Fuel Cells by Small Series LC Circuit,” in 2009 Twenty-Fourth Annual IEEE Applied Power Electronics Conference and Exposition, Feb 2009, pp. 447–451. L. Jianguo, H. Wenbin, Y. Kai, L. Xiaoyu, W. Fuyun, and W. Junji, “Research on input current ripple reduction of two-stage single-phase PV grid inverter,” in 2014 16th European Conference on Power Electronics and Applications, Aug 2014, pp. 1–8. Y. Zhou, H. Li, and H. Li, “A Single-Phase PV Quasi-Z-Source Inverter With Reduced Capacitance Using Modified Modulation and Double- Frequency Ripple Suppression Control,” IEEE Transactions on Power Electronics, vol. 31, no. 3, pp. 2166–2173, March 2016. 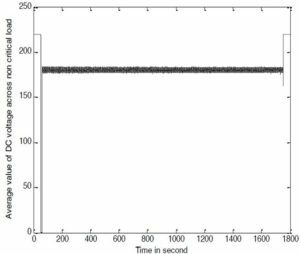 D. B. W. Abeywardana, B. Hredzak, and V. G. Agelidis, “An Input Current Feedback Method to Mitigate the DC-Side Low-Frequency Ripple Current in a Single-Phase Boost Inverter,” IEEE Transactions on Power Electronics, vol. 31, no. 6, pp. 4594–4603, June 2016. H. Hu, S. Harb, N. Kutkut, I. Batarseh, and Z. J. Shen, “A Review of Power Decoupling Techniques for Microinverters With Three Different Decoupling Capacitor Locations in PV Systems,” IEEE Transactions on Power Electronics, vol. 28, no. 6, pp. 2711–2726, June 2013. M. A. Vitorino, L. F. S. Alves, R. Wang, and M. B. de Rossiter Corrła, “Low-Frequency Power Decoupling in Single-Phase Applications: A Comprehensive Overview,” IEEE Transactions on Power Electronics, vol. 32, no. 4, pp. 2892–2912, April 2017. Z. Chao, H. Xiangning, and Z. Dean, “Design and control of a novel module integrated converter with power pulsation decoupling for photovoltaic system,” in 2008 International Conference on Electrical Machines and Systems, Oct 2008, pp. 2637–2639. D. Debnath and K. Chatterjee, “A buck-boost integrated full bridge inverter for solar photovoltaic based standalone system,” in 2013 IEEE 39th Photovoltaic Specialists Conference (PVSC), June 2013, pp. 2867– 2872. J. Kan, S. Xie, Y. Wu, Y. Tang, Z. Yao, and R. Chen, “Single-Stage and Boost-Voltage Grid-Connected Inverter for Fuel-Cell Generation System,” IEEE Transactions on Industrial Electronics, vol. 62, no. 9, pp. 5480–5490, Sept 2015. D. Zhou, “Synthesis of PWM dc-to-dc power converters,” Ph.D. dissertation, California Institute of Technology, Pasadena, California, 1996. Microgrid connected This article studies the control configuration of a microgrid-connected photovoltaic (MCPV) source. In the control of an MCPV, maximum power point (MPP) tracking, droop control, and dc bus voltage regulation are the main required functions. To increase their penetration in the microgrid, MCPV sources have to participate in the microgrid’s frequency regulation. Consequently, MCPVs may be forced to depart from MPP for short periods of time. 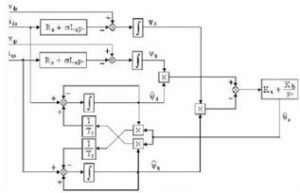 In this article, a control method is proposed to operate the MCPV in the MPP at all times except when there is a need to stabilize the frequency. The method achieves this objective autonomously without the need to change the control configuration. This method is explained, and its superiority over other controllers to achieve the same objective is investigated. 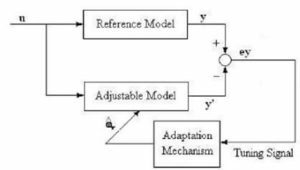 The suggested control configurations are validated through simulation studies and experiments. Fig 1.The hybrid control configuration of the MCPVs: (a) the MPP control configuration and (b) the droop control configuration. Fig 2.The responses of the dc bus voltage and the reactive power of the hybrid MCPVs: (a) the dc bus voltage of the MCPVs and (b) the reactive power of source1, source2, and the hybrid MCPVs. Fig4.The responses of the dc bus voltage and the reactive power of the universal MCPVs: (a) the dc bus voltage of the MCPV and (b) the reactive power of source1, source2, and the hybrid MCPV. 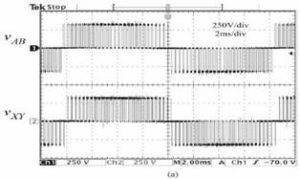 Fig5.The responses of the power and dp-dv for the universal MCPVs: (a) the power provided by source2 and the universal MCPVs and (b) the value of dp/dv of the universal MCPVs. 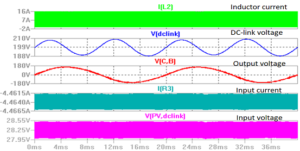 Fig6.The frequencies of source1, source2, and the universal MCPVs. Fig7.The power-voltage characteristics of the simulated PV. Fig 8.The hybrid MCPV experimental results: (a) the power of source2 and (b) the value of dp/dv of the hybrid MCPVs. 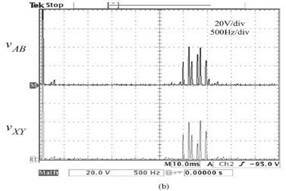 In this article, the control strategies for the MCPVs were investigated. The considered MCPVs comprised the PV source: dc/dc and dc/ac converters. 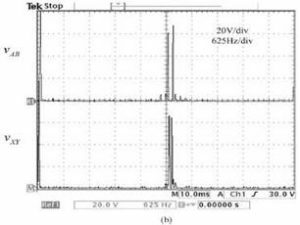 The need for a new control configuration for MCPV sources to participate in the frequency and voltage regulation in addition to the MPPT controller was justified. One way to control the MCPVs was to switch between two controllers, one for MPPT and the other to perform droop control. The combination of the two controllers is called a hybrid controller. The hybrid controller suf In this article, the control strategies for the MCPVs were investigated. The considered MCPVs comprised the PV source: dc/dc and dc/ac converters. The need for a new control configuration for MCPV sources to participate in the frequency and voltage regulation in addition to the MPPT controller was justified. One way to control the MCPVs was to switch between two controllers, one for MPPT and the other to perform droop control. The combination of the two controllers is called a hybrid controller. The hybrid controller suffered from two problems. The first was the need for an external switching signal to switch from one controller to the other, indicating a lack of plug-and-play capability. The second problem was the poor transient in the dynamics whenever there was a change in the controller or the load. A new controller was then proposed that achieved the MPPT, droop control, and dc bus voltage regulation without the need to switch between different configurations. The proposed controller was denoted as the universal controller. In this controller, a dc bus regulator controls the dc bus voltage by adjusting the duty ratio of the dc/dc converter, while both the droop controller and the MPPT controller drive the dc/ ac inverter phase. The controllers were tuned in such a way that, whenever there is a significant change in the load, the droop controller response is dominant to stabilize the frequency of the microgrid. Later, the MPPT moves the operating point to the MPP automatically but smoothly to avoid any disruption in the frequency. The proposed controllers were tested by simulations and experiments, where the validity of the method was verified in terms of stabilizing the frequency, maximizing the power production, regulating the dc bus voltage, and operating autonomously without the need for an external switching decision. M. Amin, “Toward self-healing energy infrastructure systems,” IEEE Comput. Appl. Power, vol. 14, no. 1, pp. 20–28, 2001. G. Venkataramanan and C. Marnay, “A larger role for microgrids,” IEEE Power Energy Mag., vol. 6, no. 3, pp. 78–82, 2008. M. Prodanovic and T. Green, “High-quality power generation through distributed control of a power park microgrid,” IEEE Trans. Ind. Electron., vol. 53, no. 5, pp. 1471–1482, 2006. S.-J. Ahn, J.-W. Park, Il-Y. Chung, S.-Il Moon, S.-H. Kang, and S. Nam, “Power-sharing method of multiple distributed generators considering control modes and configurations of a microgrid,” IEEE Trans. Power Delivery, vol. 25, no. 3, pp. 2007–2016, 2010. F. A. Farret and M. G. Simoes, Integration of Alternative Sources of Energy. Hoboken, NJ: Wiley, 2006.